Quality construction. Walnut finished pine. Sturdy, attractive. 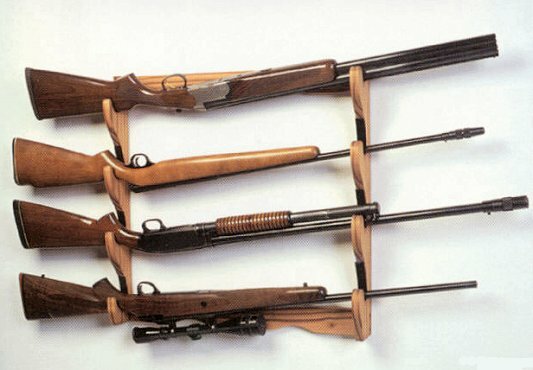 Guns protected by felt lining. Assembles easily with screwdriver and holds four guns comfortably.